James has many years clinical experience working with the NHS and in private clinics across the UK. His clinical experience includes high patient volume clinics across Asia – in India, Sri Lanka & Burma. 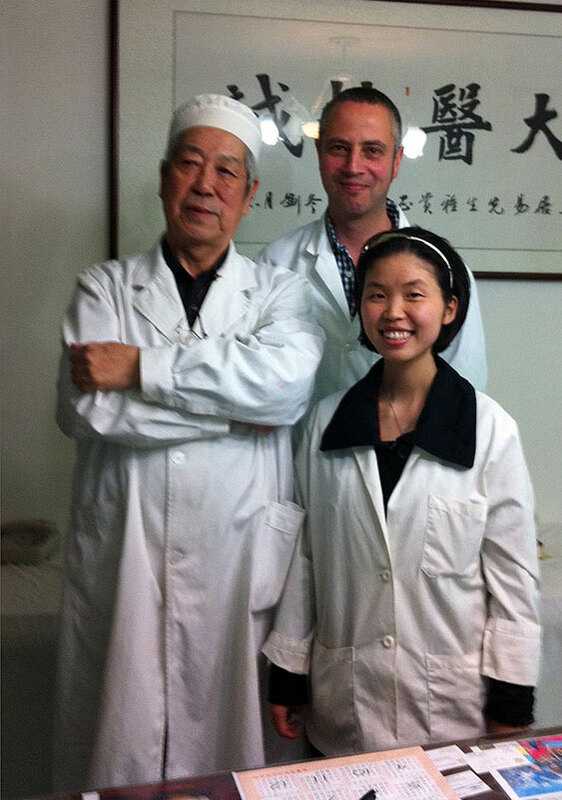 James has been teaching Chinese Medicine since 2002, lecturing in the UK and abroad. During your consultation this experience enables James to ask detailed questions to get to the root of the problem as quickly as possible – and to strategise how best to treat you. The aim is always the same: to achieve the maximum beneficial effect in the quickest time. A strong emphasis is placed on patient education and where it would be helpful he will discuss lifestyle and dietary changes to enhance the effect of treatment. James trained at the College of Integrated Chinese Medicine (CICM) 1997-2000 in Reading, studying Five Element style and (Traditional) Chinese Acupuncture. At CICM training combines Western medical sciences (pathology, physiology and anatomy) with Chinese medical theory. He has completed two extensive postgraduate Diploma courses: Chinese Therapeutic Massage (Tui Na massage) at Westminster University (2001-03) and Paediatric Acupuncture with Julian Scott (2008-09), one of the most experienced Paediatric Acupuncturists in the West and a renowned authority. James' passion for Chinese Medicine and desire for a deeper understanding of his work drives him to regularly seek education from authorities on many aspects of Anatomy, Physiology, Acupuncture & Chinese Medicine. Outside of structured courses he has attended over 800 hours of additional lectures and workshops, and more recently has visited China and Europe to refine palpation skills with his teacher, Dr. Wang Ju-Yi. James teaches at The College of Integrated Chinese Medicine in Reading, where he lectures on the Acupuncture Degree course and the Tui Na (Chinese remedial massage) Diploma course. Since 2002 he has been teaching anatomy, pulse and tongue diagnosis, structural diagnosis, palpation skills, point location and Tui Na. His particular interest in Classical Acupuncture, particularly using palpation-based methods to assess and treat illness. These methods help inform a more effective treatment. Over years of practice James has come to specialise in treating pain conditions and is still inspired by how effective treatment can be in relieving patients' suffering. James has helped to run charitable Acupuncture clinics in India (2002, 2004), Sri Lanka (2006) with charity World Medicine, also coordinating clinics in Gaza (2008, 2009) and recently working with Mettadana in Burma (2013, 2014) where he also lectured at The University of Traditional Medicine in Mandalay, the largest traditional medical teaching establishment in South Asia. Licentiate In Acupuncture from The College of Integrated Chinese Medicine, Reading. This qualification also includes the practice of cupping & moxibustion. Postgraduate Diploma in Tui na (Chinese Remedial Massage) from Westminster University, London. Full Member of The British Acupuncture Council (BacC). Membership number 956890. Bound by BacC Code of Professional Conduct and Code of SafePractice. Full medical malpractice and public/products liability insurance cover for the practice of Acupuncture (including cupping, moxibustion and gua sha) and Tui Na massage (see FAQ for explanation of these practices). Registered under The Data Protection Act 1988. Registration number Z2306444.